Tech-Dry® Emulsion GPE50-P is a new silane/siloxane emulsion concentrate with an enhanced surface beading effect. It is designed to replace solvent-based silane/siloxane to produce a water-based silicone sealer with a strong water repellent effect. 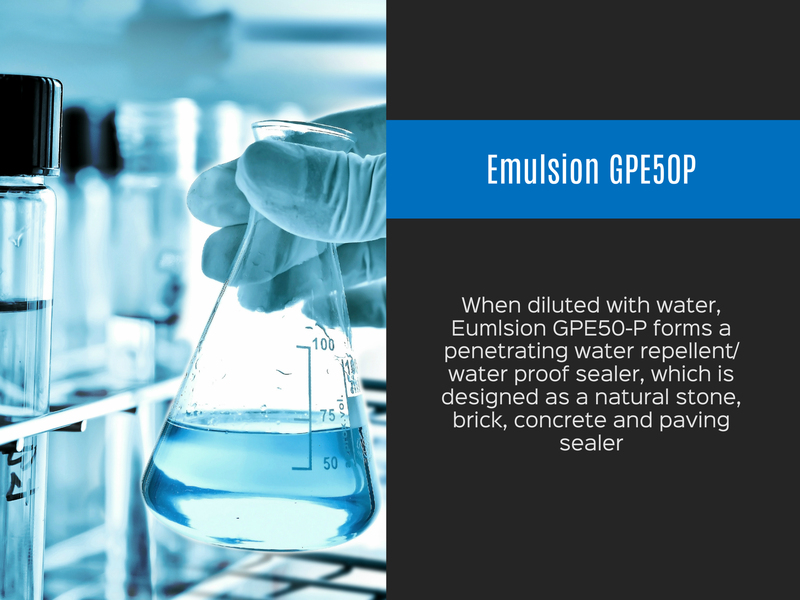 When diluted with water, Emulsion GPE50-P forms a penetrating water repellent silicone sealer, which is designed as a natural stone, brick, concrete and paving sealer, such as a tile and grout sealer. For more information on the use of Emulsion GPE50-P, download the data sheet.